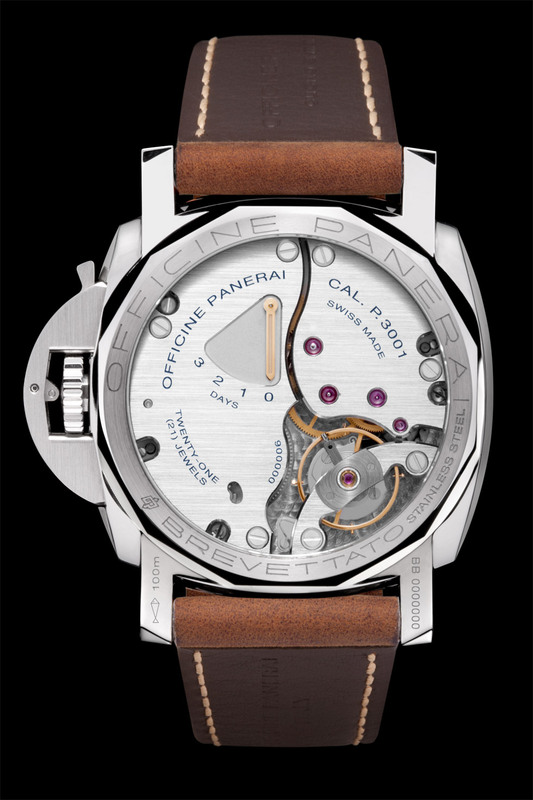 The back of a Panerai Luminor Marina 1950 3 Days (PAM00422). Take a closer look to see the power reserve indicator. He-Man used to say, “I…have…THE POWER!” when he went into action. He-Man was a crappy cartoon, but it was also a groundbreaking cartoon and a big part of my childhood. He-Man, like most things, gets me thinking about timepieces. Power reserve. It sounds cool, eh? And technical. It is one of the key aspects of a mechanical piece, as far as I am concerned. The power reserve of a mechanical timepiece refers to the amount of time that the piece will keep ticking without movement (in the case of an automatic) or winding (in the case of a manual piece or an automatic). Now, when you wear an automatic piece, it winds itself as you move your arm throughout the day. 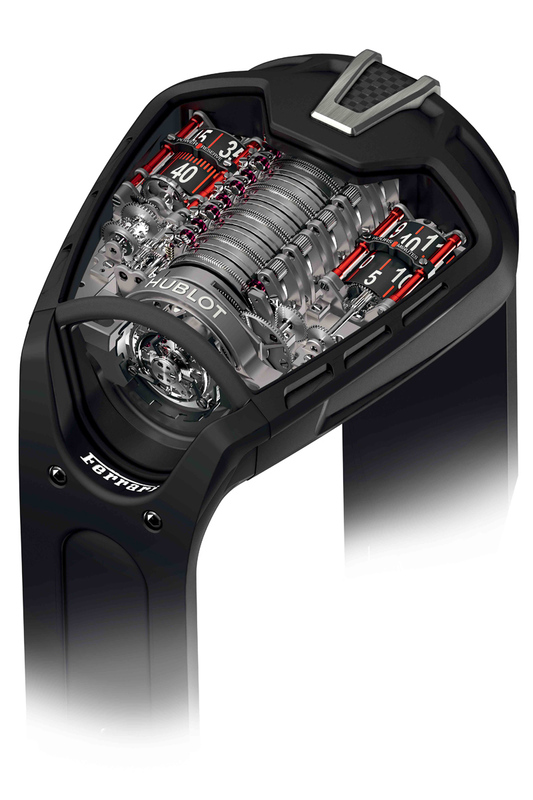 Most mid-range automatics advertise somewhere between 40-46 hours of power reserve, with very expensive pieces claiming 8 full days of power reserve. It may take more than one day of wear to fully wind an automatic unless you give it some manual wind as well. When fully wound, the timepiece will, in theory, keep ticking for up to 40-46 hours or so without needing any movement (i.e. winding). For me, a useful power reserve is anything above 36 hours. Why? Because if I take off my watch at 10:00pm, then wear a different watch the next day, then go back to the original watch the following day around 8:00am, it will be still be ticking. The time and date will be set and it won’t need re-adjusting. Now, the tricky thing about automatics is that you never really know how much power reserve you have left – unless you have a very expensive watch with a power reserve indicator. This, by the way, is my very favorite complication – a power reserve indicator. I think it is cool and useful. I often prefer manually wound timepieces. Once you wind it up, you know approximately when it will stop ticking and, therefore, you know when to wind it again in order to keep it running. Manual movements usually have longer power reservers of 56-60 hours or even more. Many high end manual pieces also have a power reserve indicator and, as you wind them, you see the indicator move. This is so cool – Panerai’s sensational PAM00422 has this indicator on the back, so it doesn’t clutter the clean look of the dial. If you can imagine a hairspring uncoiling and gradually releasing its’ power reserve, you will realize that the power delivery is not perfectly constant. As you near the end of the power reserve, the watch may run less accurately – typically, slower. The brand new Gerard-Perregaux Constant Escapement was designed to resolve this technical problem and has recently won major awards. I also read that the IWC Top Gun Perpetualy Calendar has a mechanism to stop the watch ticking before the end of the power reserve, to maintain a constant rate of accuracy. Now in the very extreme case, you have the Hublot LaFerrari, which is so far-fetched that it barely qualifies as an ordinary timepiece. It actually has a key for winding it and, when fully wound, has almost 2 months of power reserve! That’s nuts! But cool. Although it takes a lot of coordination, I often have 4 watches running at the same time. With a combination of winders and manual pieces, I can achieve this. The goal, of course, is to be able to wake up each morning and choose from several timepieces that are ticking and ready. This is part of the man’s fantasy. Testing a watch’s power reserve is part of the fun – like tracking its accuracy. But as long as you can get more than 36 hours, you have a useful power reserve. So pay attention to this factor when choosing your next piece. As always, the fun is in the search.